Whilst many factors have contributed to the success of the Cathay Pacific/HSBC Hong Kong Sevens over the past 40 years, at its heart have been the magical performances of the players who have thrilled the crowds with their amazing skills and athletic prowess. Everyone has their personal favourite player and moment of magic, the Tomasi try, the young Cullen tearing up the pitch, the awesome Jonah Lomu in full flight…and we have gathered the views from those closest to the Sevens to choose the best players to have appeared here over the past four decades, Hong Kong's very own "Magnificent Seven"! Jonah Lomu's debut appearance in Hong Kong in 1994, aged 18, launched him into public recognition and within a few months he was youngest-ever All Black. Enormously powerful yet with a turn of speed that could grace an athletics meeting, he stormed to tries and records. Alongside his dominance in the 15-a-side game, notably at the 1995 and 1999 Rugby World Cups, his passion for the short code helped New Zealand win the Sevens gold medal at the 1998 Commonwealth Games, and he led his country to its first Rugby World Cup Sevens victory at the 2001 world championships in Argentina. 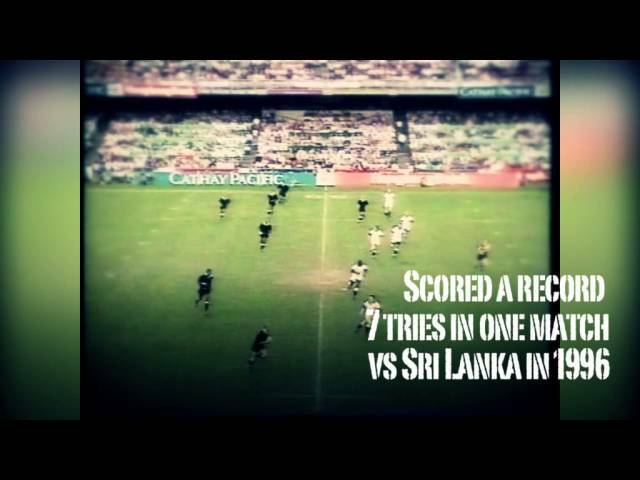 Widely considered the world's greatest-ever sevens player, Serevi made his Hong Kong debut in 1989, winning player of the tournament honours on debut, and would return on an astonishing 15 further occasions (1990-2000, 2002 and from 2005-07 as player/coach). Serevi was a part of five cup-winning teams and reached the final on a further seven occasions, massively contributing to Fiji's record 14 victories in Hong Kong. He was also instrumental in both of Fiji's Rugby World Cup Sevens wins in Hong Kong in 1997 and 2005. Alongside 101 appearances in Australia's fifteen-a-side team with a then-record 64 international tries, Campo made a contribution to the game of sevens that was a career in itself. At a dozen Hong Kong Sevens tournaments through the 1980s and 1990s, his power, pace and flair marked him out in dominant Wallaby sides that captured three Cup titles. The famous Campese goosestep alone was enough to set the stadium alight. A Hong Kong Sevens icon throughout the 1990s, New Zealand's Eric Rush appeared at So Kon Po on an amazing 16 occasions, playing a central role in five tournament wins (1989, 1994 to 1996 and 2000). Alongside nine test caps for the All Blacks 15-a-side team, as both a flanker and a wing, Rush's unparalleled pace, tactical vision and leadership helped New Zealand win sevens gold at the Commonwealth Games in 1998 and 2002 and at the 2001 Rugby World Cup Sevens. The Paekakariki Express blitzed his name into Hong Kong Sevens history at the 1996 tournament when, in New Zealand's opening game, he scored seven tries – a tournament record, going on to end the weekend with 18 tries, a cup-winner's medal and the Leslie Williams Award for the Best and Fairest player. As a result, aged only 20, Christian Cullen was soon a fixture in the full All-Blacks team, going on to become the most capped fullback and scorer of a then-record 46 test tries for his country. The all-time leading points scorer on the HSBC Sevens World Series in Hong Kong, Gollings placed and kicked 276 points in just eight appearances in the territory, including in three of England's four cup winning sides in 2002, 2004 and 2006 (England also won in 2003), as well as at the Rugby World Cup Sevens in 2005. He is also the highest scoring player in the series as a whole, with 2,652 points from 70 tournaments representing his country. Hailed as China's Mr Rugby, Zhang holds the all-time record for tries scored in Hong Kong since the inception of the HSBC Sevens World Series in 2000, with 25. Zhang added 43 conversions for a total of 211 points in a glittering career at the Hong Kong Stadium. Zhang played at the Sevens on ten occasions and coached China in Hong Kong on another five. He led China to their only silverware at the tournament when they won the Bowl in 2006.